Teresa May’s decision to delay the Brexit vote was explained by BBC News‘ Deputy Political Editor John Pienaar from in front of a virtual 10 Downing Street. The segment started out wide — perched above digital treetops — before swinging down through the virtual space and cutting to a tight shot of Pienaar. 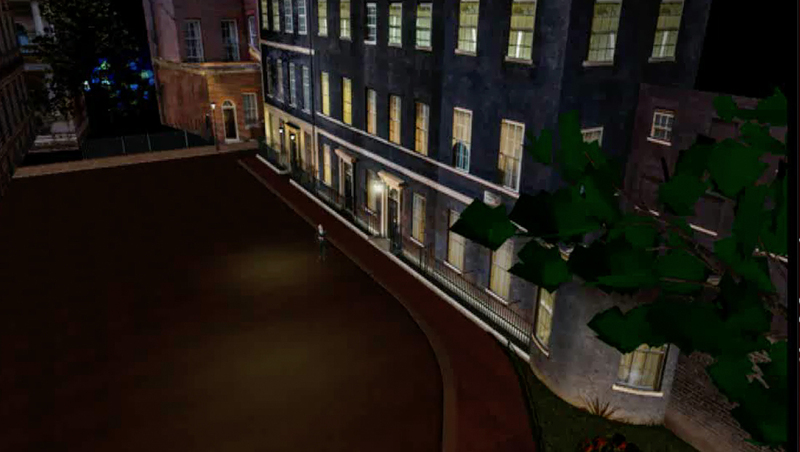 Pienaar appeared to be standing on Downing Street in one of the most quintessential British landmarks, the official residence of the prime minister. The network then used floating, layered boxes with text to illustrate key points and their connections to each other. This segment was produced under a tight turnaround, according to a LinkedIn post BBC Creative Director, Motion Nick Davey. Team members Jonathan Spencer and Tony Sinclair played a key role in creating the segment.